Although I’m not an expert on this in any way, today I’m going to write up a few tips and tricks on surviving grad school. I have accumulated these over the last year and I’ve found them to be pretty helpful. In my opinion, one of the most enjoyable aspects of being a grad student is the vast network of interesting people that becomes available to you. Collaboration is an amazing tool which celebrates the open source nature of science and the mutually beneficial, symbiotic relationship between grad students, professors, undergrad students, visiting lecturers, technicians, and postdocs. Talk to people from all different backgrounds. Go to as many seminars as you can cram into your schedule. Mentor undergraduate students for summer projects. Have frequent meetings with your supervisor. Use the vast treasure trove of knowledge that is at your fingertips. And most of all, stay excited about research. It’s easy to get bogged down in details and easy to lose sight of the reason why you’re doing what you’re doing. Why does it matter? What could it change? In my experience, these are the best ways to regain your drive and curiosity, which are absolutely essential to being a good grad student. I’ve found that compartmentalizing my world into goal-oriented spaces has really helped me to focus. When I’m sitting in my office, I’m either reading papers or doing coursework. When I’m in the lab, I’m running an experiment. When I’m sitting at my kitchen table at home, I’m planning experiments or reading papers. When I’m on the bus, I’m having zen time. Of course, you have to be somewhat flexible. Sometimes you’re going to have to plan an experiment on the bus or write a term paper at the kitchen table. 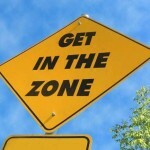 But if you’re like me and you have trouble staying focused, structuring your space can help. I’m also a big fan of putting on headphones and listening to music while I’m working. For me, it has the effect of blocking out the rest of the crazy, distracting world and (sometimes) my crazy, distracting coworkers. Another thing that has helped me a lot was a relatively simple discovery that I made during a time period last month when I was incredibly busy. I was getting about 50 emails a day about various things and I had the habit of keeping a tab open on my browser with my email on it. And every time a new email showed up, I would drop what I was doing and read it (in case it was vitally important). This meant that I was consistently out of ‘The Zone’ of productivity. 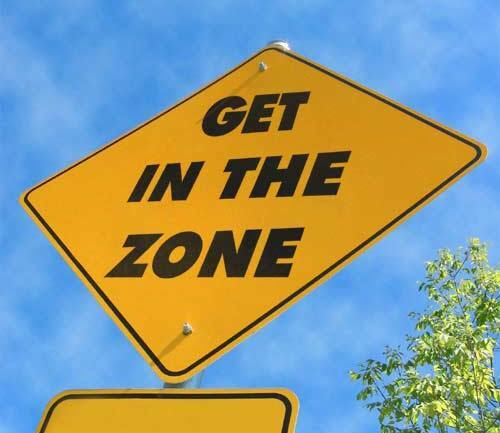 As I’m sure you’re all aware, it can be difficult to get into The Zone and once you’re there it is insanely easy to get kicked out. It’s like a really classy lounge or something. So all I did one day was close the email tab for several hours at a time. And it was like ladies night in The Zone. Having been in grad school for just over a year, this is the best general advice I can muster. I hope it is helpful to someone at some point. Chances are that things might eventually get overwhelming and you are going to end up eating chocolate pudding and looking up real estate listings in Turks and Caicos at 2am. If you ever get there, remember you’re not alone. And just mention this post to receive an three-hour jet ski rental for 50% off. Thanks for this nice and innovative blog. i like it. Previous Post Spring equinox takes us for a ride in the Delorean into mid-July.